← DR. BOYCE: WHY WAS GEORGE ZIMMERMAN GRANTED BAIL IN KILLING OF TRAYVON MARTIN? VOD STORY ON RALLY TO FREE DAVONTAE SANFORD AND CHARLES JONES, AND JUSTICE FOR AIYANA STANLEY-JONES AND TRAYVON MARTIN APRIL 23 COMING SHORTLY. Rally was covered in the Detroit News and Free Press (Freep video at bottom) as well as Channel 7 (video above). Channels 2 and 4 ran versions of the following AP story. 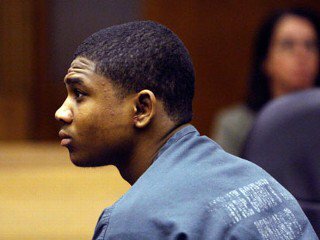 DETROIT (AP) — A Detroit hit man in prison for eight slayings has signed an extraordinary confession to four additional killings in a bid to persuade the Michigan appeals court to order his testimony and possibly free a young man who is locked up for murder. The sworn affidavit by Vincent Smothers was filed last week by a lawyer for Davontae Sanford, who at age 15 pleaded guilty to second-degree murder. 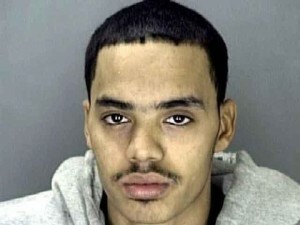 Sanford, now 19, insists his own confession was false, and he has struggled to have his conviction thrown out. In a three-page statement, Smothers said he was hired in fall 2007 to kill a drug dealer as part of a feud between competing gangs. He said Sanford, a neighborhood kid who was just 14 at the time, was not his accomplice. “I have never used a juvenile as an accomplice,” said Smothers, who is serving a 52-year sentence for eight other murders. A few months ago, Smothers offered to testify in court on behalf of Sanford. But in February, Wayne County Judge Brian Sullivan declined and, at the same time, rejected Sanford’s request to set aside his conviction. Smothers hopes the affidavit — a formal, detailed recollection of what happened on Detroit’s Runyon Street — will make a difference with the appeals court. Smothers said he and another man, nicknamed Nemo, scouted the location earlier in the day by playing catch with a baseball a few doors away. They returned and starting shooting — Smothers through the front door with an AK-47 and Nemo with a handgun through a window. Wayne County Prosecutor Kym Worthy still refuses to stop prosecution of Davontae Sanford or at the very least grant him an appeal bond. He said they immediately found victims dead on separate couches. Smothers said a young boy was in bed in another room and a woman was hiding under the bed. They were not injured. “Just after we left the house, I fired my AK at a person across the street, who had fired at me,” Smothers said, a reference to a minister who has admitted firing a gun that night. 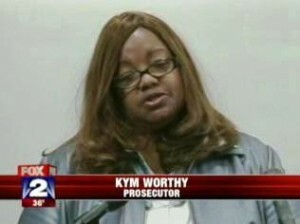 In April 2008, Smothers was arrested in suburban Detroit. He quickly admitted participating in 12 murders-for-hire, including the ones on Runyon Street, but was only charged with eight. At the time, Sanford had already pleaded guilty and was in custody. “At one point during the interrogation, when I was being escorted to the bathroom, I told a bald detective that they did not have the right person convicted for the Runyon Street murders,” Smothers said in his affidavit. The Wayne County prosecutor’s office has refused to back away from Sanford’s guilty plea. But it hasn’t explained why Smothers was never charged, despite the confession to police, and why a gun directly linked to the Runyon Street slayings was recovered from a home associated with Nemo. When asked about the affidavit, Maria Miller, a spokeswoman for prosecutors, said her office will wait to hear from the appeals court.